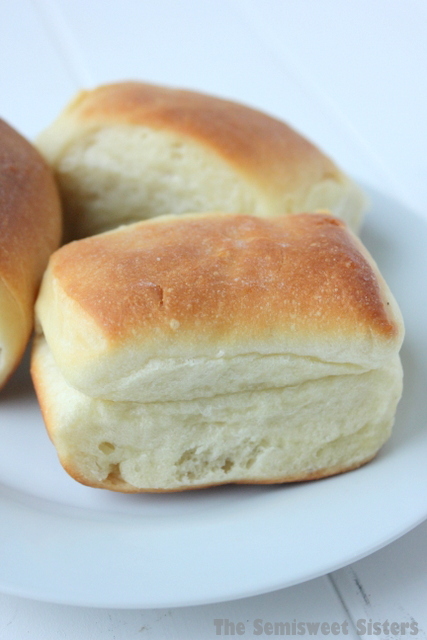 The Famous Parker House Dinner Rolls: the inside is so soft, tender, & buttery! 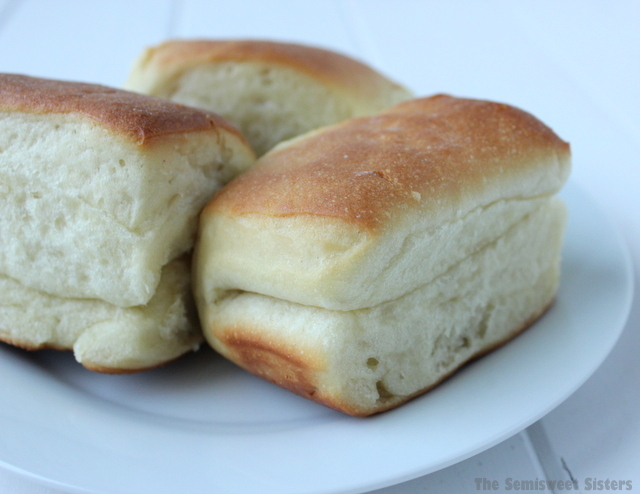 Have you ever heard of Parker House Dinner Rolls? They are actually named after the historic Parker House Hotel located in Boston, Massachusetts. The original Parker House Hotel opened in 1855. Not only is this hotel known for inventing the Parker House Roll but also for perfecting the Boston Cream Pie. 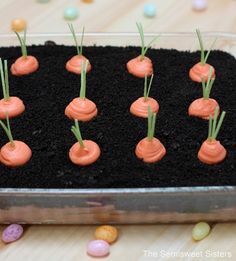 I actually found this recipe posted on the Parker House Hotel Website. They share it as the original Parker House Roll Recipe. For Thanksgiving it’s usually my family’s job to bring the bread & over the years I’ve tried several different roll & bread recipes. 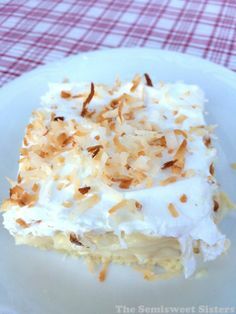 This recipe is by far my favorite. 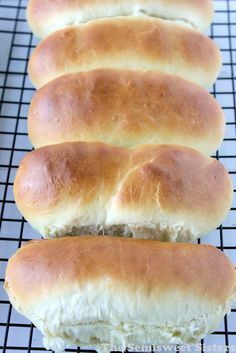 I knew there had to be a good reason as to why these rolls have been famous for a very long time! I love how you can tear one open & easily butter the middle because of the split. 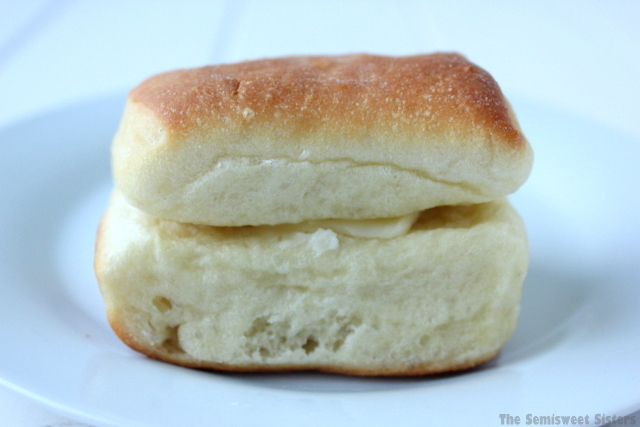 The inside is so soft, tender, & buttery! These rolls are definitely Thanksgiving Table worthy. I used a bread machine to mix the dough (for 10 minutes) but you can use a stand mixer with a dough hook or knead by hand. In the end you want a ball of dough that looks similar to the above photo. You divide the dough into 2 balls. 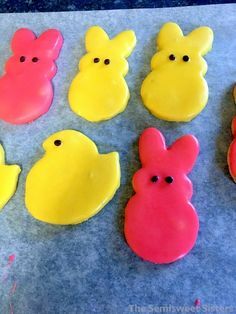 Then you roll out each one to form a rectangle (mine were more of an oval, I’ve never been great at rolling out dough ha). Then you want to slice each one into 8 pieces. 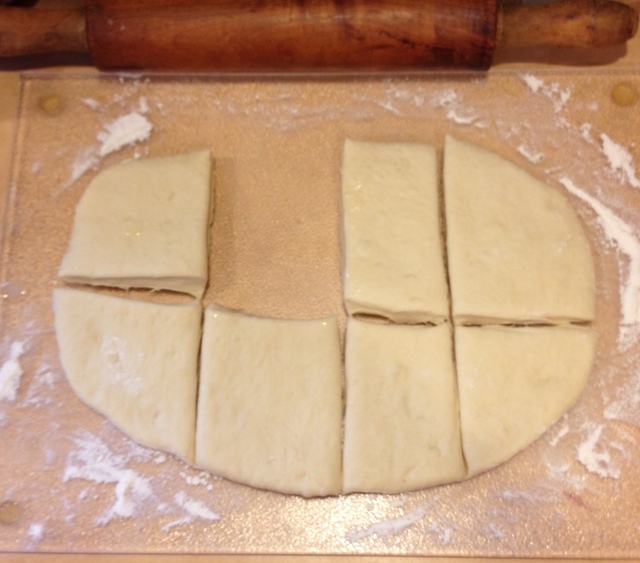 I used a pizza cutter to cut the dough, you can also use a knife or pastry cutter. Then it’s BUTTER time. You want to take your melted butter & brush the top of the dough. Then you fold each piece so it’s almost in half. (If you just fold it in half odds are your rolls with flip open while baking). To prevent the rolls from popping open in the oven you don’t fold then all the way in half, you leave one side about 1/4″ shorter. The shorter side faces down & the longer side faces up in the pan. 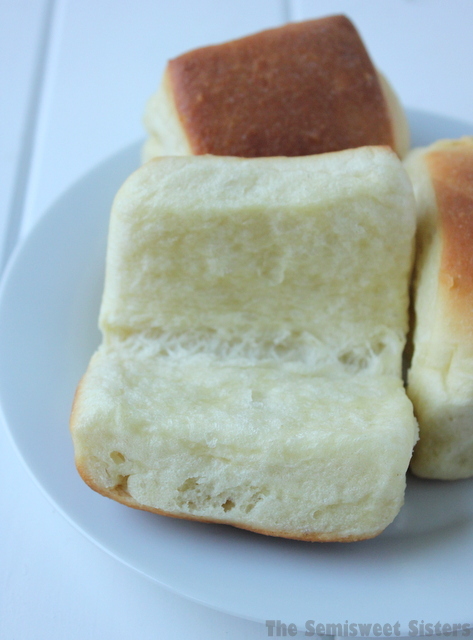 I got the idea for making the rectangular shaped Parker House Rolls from King Arthur Flour. 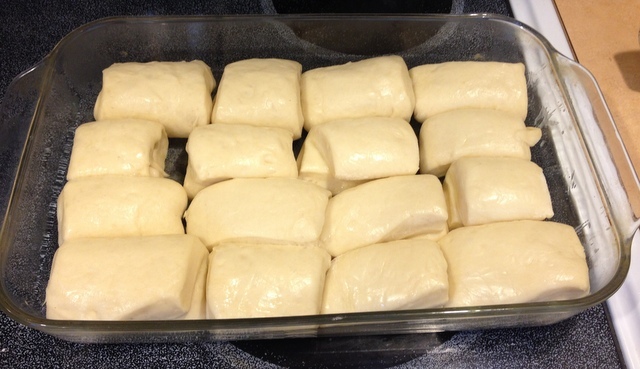 After the rolls have been rising for 40 minutes they are ready to go in the oven. They wont be quite double in size. 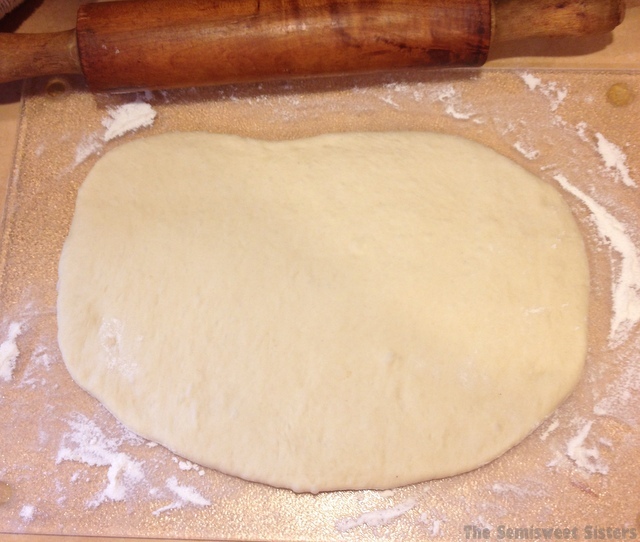 Bread Machine/Stand Mixer with Dough Hook Method: Add very warm water & yeast. 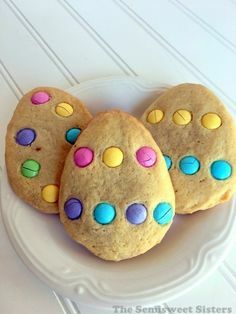 Then add 3 cups flour, sugar, salt, egg, & ¼ cup softened butter. Start mixing. Check dough after 2 minutes. 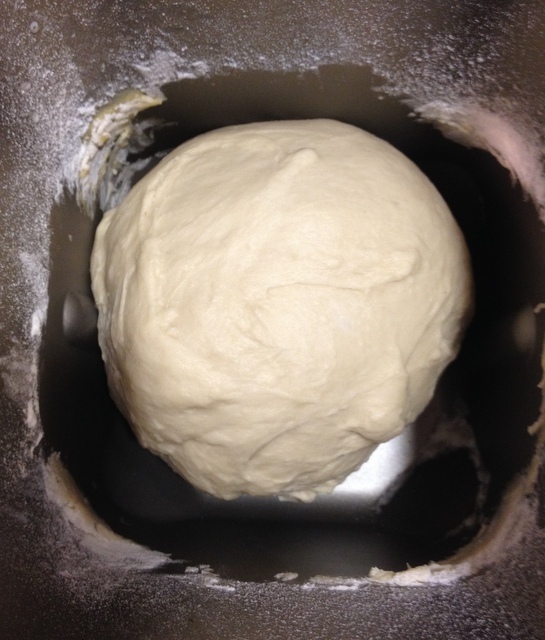 If it's too wet add up to ¼ cup more flour & continue to let it knead for 8 more minutes. Shape dough into a ball & place in a large greased bowl, turn to grease all of dough. Cover with towel. Let rise until doubled in size. About 1½ hours. Punch dough down & push dough in towards center. Turn onto lightly floured surface. Shape into ball. Cover with bowl for 15 minutes & let dough rest (so it's easier to work with). 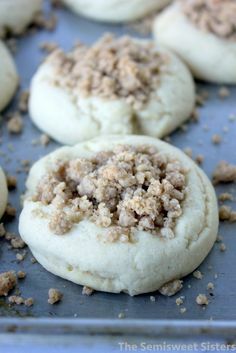 Divide the dough into 2 balls. 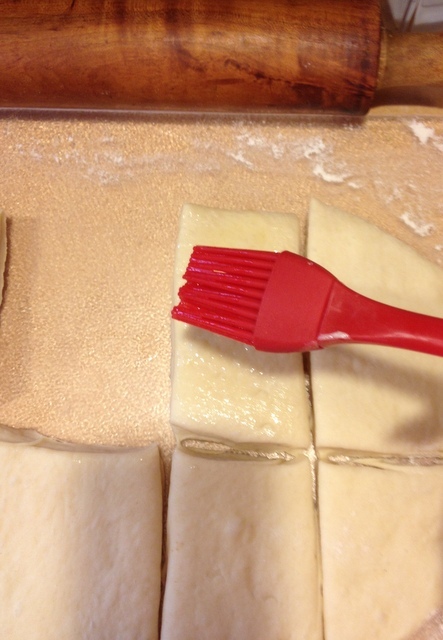 Using a rolling pin or by hand flatten out the first ball of dough to form a 8"x12" rectangle. Melt butter & brush top of dough with butter. 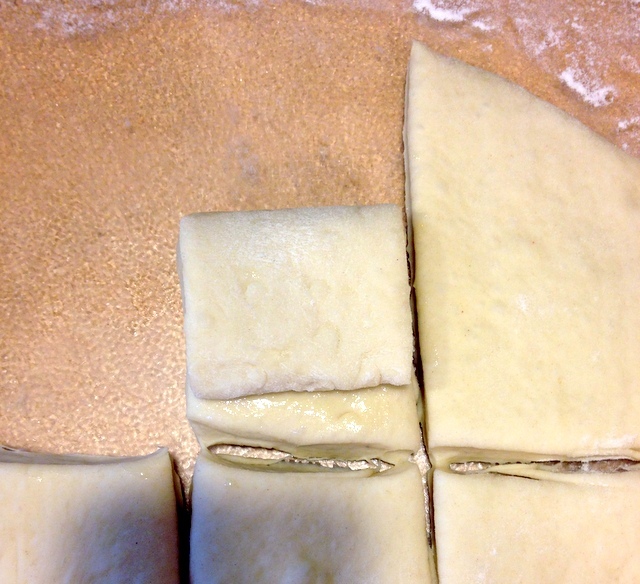 Cut the dough in half lengthwise, to make two 4” x 12” rectangles. Working with one rectangle at a time, fold it lengthwise to about ¼” of the other edge, so the bottom edge sticks out about ¼” beyond the top edge. (see photos above). Cut into 4 pieces to form 4 rolls. Now do the same with the other rectangle. Place in a greased 9x13" baking pan with the smooth (longer side) facing up. Repeat for the 2nd ball of dough. You should end up with 16 rolls total. Preheat oven to 400 degrees. Bake for 15-18 minutes or until golden brown. Brush top with remaining melted butter (you may have to microwave the remaining butter to melt it again after its been sitting).